Merciful Presence: Noticing the injustices around us and playing an active role in serving the victimized. Guided by Isaiah 58:1-10, Jesus’ relational priority of the “least of these” is expressed by the Body of Christ through mercy toward our neighbors. The beauty of the Gospel is that it is the only story big enough to make sense of life’s complexity and simple enough to be expressed powerfully through tangible mercy toward neighbors. We endeavor not only to tell a beautiful story and respond to it in Spirit, but to live that story through merciful action. To see this vision become a reality, our ambition must be to humbly and tangibly extend the love of Christ, especially to the overlooked. Those who are systemically marginalized in North Brooklyn must find that in every expression of this church they are honored guests with reserved seats at the table. And, those captured by the Gospel story must go on telling that story by welcoming the stranger, clothing the naked, feeding the hungry, visiting the prisoner, noticing the forgotten, and serving the orphan and widow in distress. This is a vision that speaks to the deepest longings of every New Yorker: A cosmic story to make sense of life, expressed in transcendent simplicity before our very eyes. We seek to come alongside organizations that are serving those in need. We encourage our members to serve in some way at least once a month. Our Justice & Mercy Partners include: Rikers Debate Project, The Bowery Mission, St. Nicks Alliance, North Brooklyn Angels, North Brooklyn Neighbors, New Sanctuary Coalition, JustFix, Williamsburgh Library, City Harvest, El Departamento De La Comida, and Nomi Network. Learn more about each organization below. To stay up to date on Justice & Mercy opportunities, please sign up for the email list below. North Brooklyn Neighbors is offering a workshop about how to safely garden and protect children in outdoor space that has contaminated soil. For more details and to register, click here. We lead a morning worship service at the Bowery Mission, one of NY's oldest homeless shelters. During the service we worship alongside the community there, pray for, and get to know the folks who attend. Reach out to Simon with any questions. A benefit run that supports a great local cause: supplemental summer camp for local community youth through our Justice & Mercy Partner, St. Nicks Alliance! Full Justice & Mercy calendar here. Direct any questions to Deacons of Justice & Mercy, Holly and Sara. The Rikers Debate Project (RDP) teaches competitive debate skills — including communication, conflict resolution, and public citizenship — to students held in Rikers Island jail. A criminal record makes it hard to find a job, and communication skills are invaluable to overcoming this challenge. Volunteers do not need to have any previous debate experience to help facilitate these classes. How: Sign up here. A leader will reach out to you a few days before with a brief packet for the week. Church Contact: If you have any additional questions, please reach out to Mariya Abdulkalf who is a regular volunteer and our TGC Williamsburg point person. 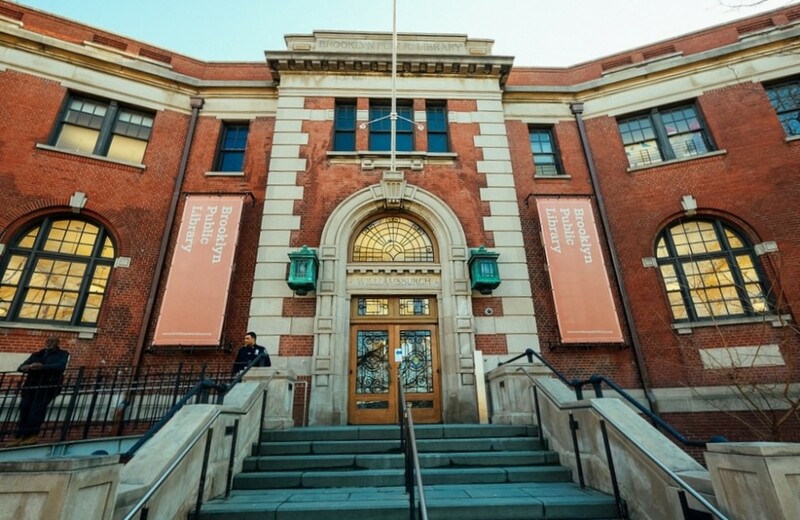 The original branch of the Brooklyn Public Library, built in 1903, Williamsburgh Library serves as a community education center with access to books, computers, and classes for everyone in the community. Volunteers can teach classes, help with after-school tutoring, do storytelling, and many other opportunities. When: Opportunities to fit any schedule! How: Explore opportunities and apply to volunteer here. Particular need for after-school tutors at the Williamsburgh Branch. Church Contact: If you have any additional questions, please reach out to Holly Dowell, deacon of Justice & Mercy. North Brooklyn Angels is a grassroots group of neighbors helping neighbors with challenge faced in our community. They run the Angelmobile, a mobile food truck that serves hot lunch 5 days a week at various locations around the neighborhood. Meals are prepared at the Mt Carmel Parish Hall. Volunteers prep, cook, and serve lunches. When: Opportunities throughout the week, but highest need on Tues, Thurs, and Fri.
Church Contact: If you have any additional questions, please reach out to Mike La Rosa, a regular volunteer and a member of TGC Williamsburg. St. Nick's Alliance is a community development organization in North Brooklyn focused on serving low and middle income families in the neighborhood. Offering an array of services from elder care to youth programming, St. Nick's seeks to cultivate a community where everyone can thrive. Volunteers will be called on to help with community events, data collection for advocacy, senior care, and and allyship at marches. 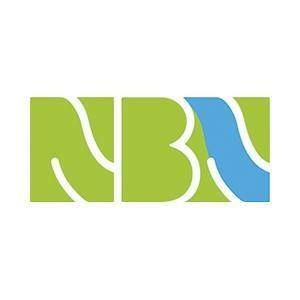 North Brooklyn Neighbors is a grassroots nonprofit organization serving Greenpoint and Williamsburg to advance community-based solutions around environmental justice with a priority focus on land use, public space, resiliency, and environmental health. The New Sanctuary Coalition is an immigrant's rights organization based in New York City comprised of an interfaith network of congregations, organizations, and individuals standing publicly in solidarity with families and communities resisting detention and deportation. Volunteers can attend accompaniment training then come alongside people during hearings and check-ins. Other opportunities like case workshopping and letter writing also available. When: Opportunities during the day throughout the week and in the evening on Tuesdays and Thursdays. JustFix provides digital services to New Yorkers in neglectful housing situations and the housing advocates who support them. Volunteers help canvas neighborhoods to connect tenants with services and offer resources. TGC Williamsburg leads a morning worship service at the Bowery Mission, one of NY's oldest homeless shelters. The Bowery Mission provides three free meals a day, and prior to each one they put on a service in their historic chapel, run by different churches from across the city. During the service we worship alongside the community there, pray for, and get to know the folks who attend. How: All are welcome, no sign up required. Sign up for the email list for updates and reminders. Church Contact: If you have any additional questions, please reach out to Simon Morris who coordinates the service and is a member of TGC Williamsburg. City Harvest rescues food from restaurants and markets around the city and re-distributes it in high need neighborhoods. Volunteers are needed to help out at Mobile Markets (closest one is in Bed-Stuy) and as Nutrition Educators. El Departamento Del La Comida is working on food justice and restoration in Puerto Rico in the wake of Hurricane Maria. Former TGC member, Kieran Murray, is currently living in Puerto Rico and working with the organization. How: Follow along on with Kieran (IG: @northstarboi) and El Departamento (IG: eldepartamentodelafood). Nomi Network is an economic development agency fighting human trafficking in India and Cambodia by providing training and job opportunities for survivors and women at risk of human trafficking, workforce and community development services. Former TGC member, Jasmine Summers, is currently serving a year-long fellowship as the network's first fashion fellow. How: Donate here and follow Jasmine (IG: @missjazz_mine) or sign up for her newsletter for updates. We have read the reports of families crossing our border and being separated. Parents are being put into the criminal system and children are being sent to detention centers. While the executive order signed on June 20th, 2018 ended this policy, there are still over 2,000 children separated from their parents, and there will continue to be more asylum-seeking families trying to enter our country who need help. Below are some organizations on the front lines, ways to actually serve in NYC and closer to the border and ways to make your voice heard. -Cayuga Centers: Contact the shelter that is hosting 239 children here in NYC who have been sent here away from their parents are in need of Spanish-speaking foster homes (718-860-1656) You do not have to be MAPP certified to fill this need. There is a shortened orientation available and you must pass a background check. -New York City Councilman Mark Levine's office has put together a list of recommend organizations to contribute to and links to volunteer at the centers currently housing the separated children in NYC. -The Florence Project: Volunteers needed in Arizona for legal aid, interpretation, medical, and admin. -Texas Civil Rights Project: In need of people with paralegal/legal assistance experience who speak Spanish, Q'eqchi, or K'iche to help with intake in McAllen, TX. They are also looking for legal intake volunteers in Brownsville, Laredo, El Paso, and Alpine. -Pray: We have a compassionate and just God who hears our prayers and honors our lament. Take time to pray for the families at the border - that they may be comforted and reunited. Pray for those on working with these families on the front lines- give them strength and wisdom. Pray for our policy and decision makers - that their hearts be moved to compassion. -Call your representatives: Take a moment to remind your elected representatives that family reunification matters to you. Even if your representatives are already supporting family reunification, calling with thanks and encouragement is also crucial. The Stance app allows you to record your message in advance so you can clearly state your message. Think local (like the mayor) and request action for children brought here to be reunited with their families. You can also encourage family members in other states to contact their representatives.